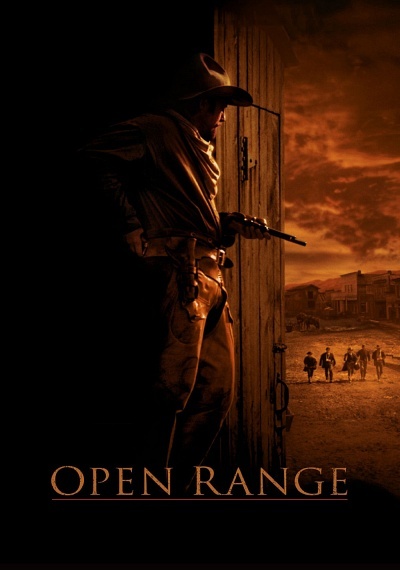 Open Range :: Movie Information :: RabbitTV GO! Packed with epic action, Open Range is a powerfully gripping story that's never been told until now, and stars Academy Award winners Robert Duvall (Tender Mercies) and Kevin Costner (Dances With Wolves), and Academy Award nominee Annette Bening (American Beauty, Being Julia). A group of free grazers, four men trying to escape their past, are driving cattle and living off the land on the open range -- a place where nature makes the only laws. When a ruthless, evil rancher tries to run them out of town, the men's peaceful existence takes a tumultuous turn and ends in the grittiest, most explosive gunfight on film as two men battle a town for honor, justice, and a way of life that's quickly disappearing.